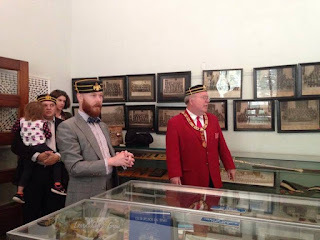 In 2014, I was appointed Director of Curatorial Affairs for the McAlester Valley of the Ancient and Accept Scottish Rite. 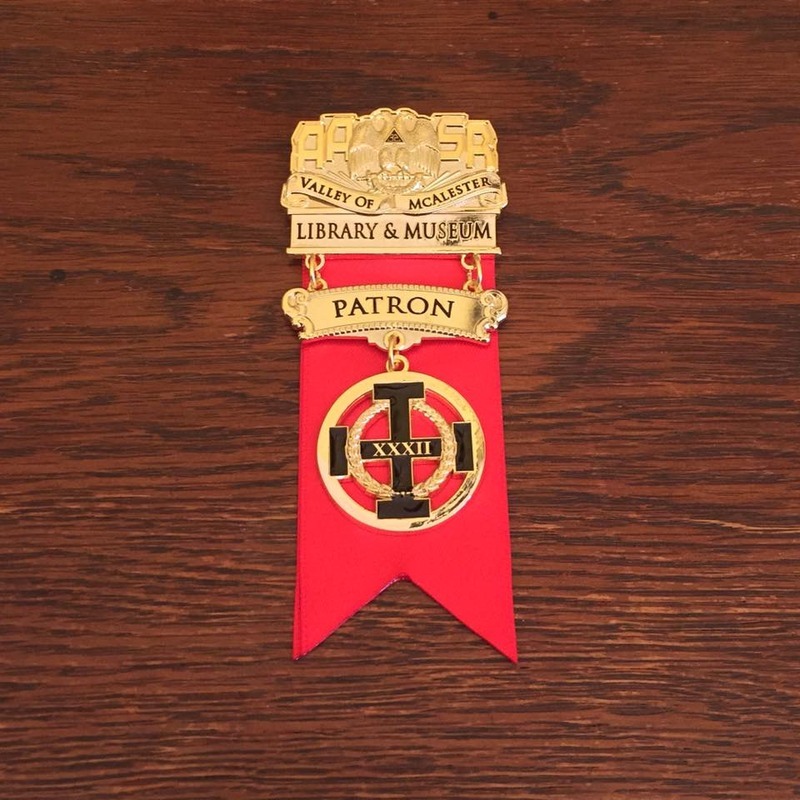 The Library and Museum of the McAlester Valley was established as a department in 1955. 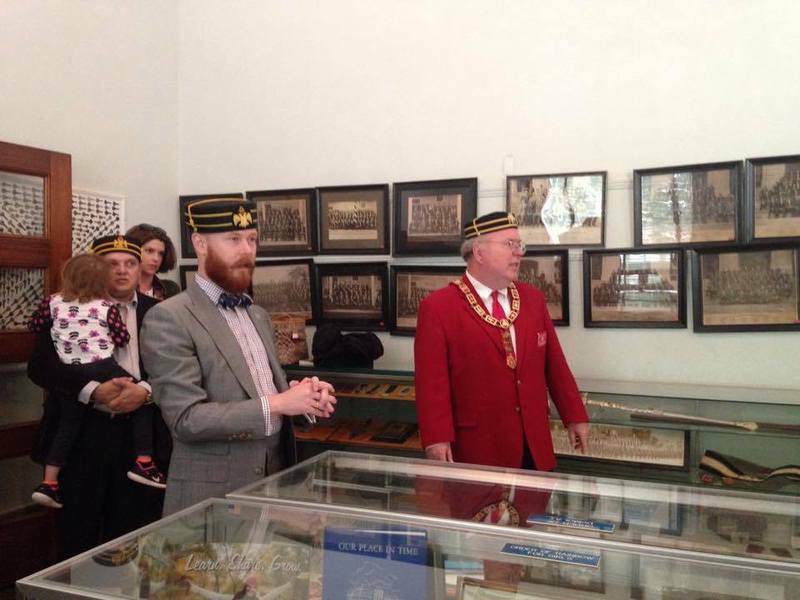 Our institution is home to numerous collections of early Masonic personalities in Oklahoma, including Daniel M. Hailey, William Busby, Clarence Brain, and William S. Key. Under my direction, our museum has embarked upon an exciting exhibition plan telling the story of Freemasonry in the Indian Territory, and later Oklahoma. 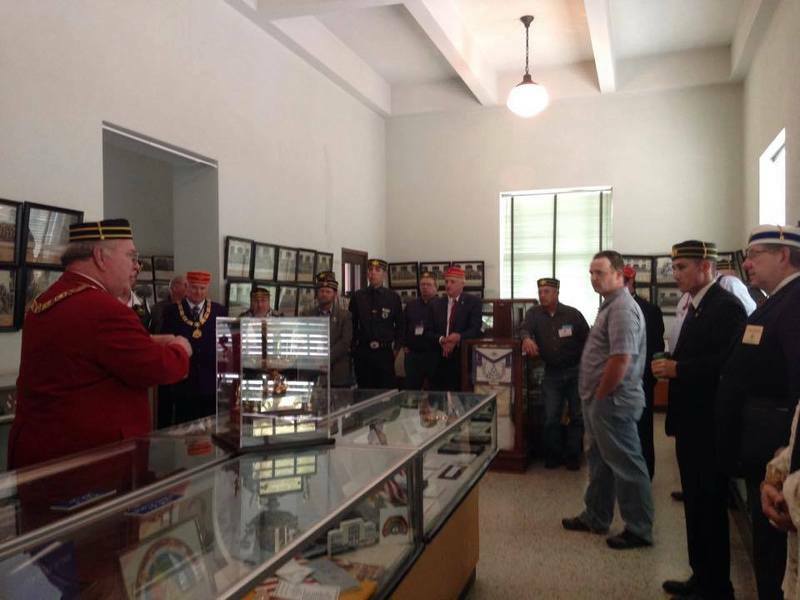 Since 2014, a total of ten new exhibits have been installed in our second floor gallery covering topics ranging from the McAlester Scottish Rite Temple to the Order of the Eastern Star. We were also fortunate enough to receive a loan of early 20th century Masonic porcelain. The Library and Museum of the McAlester Valley of the Ancient and Accept Scottish Rite is dedicated to preserving the Masonic history of Indian Territory from 1824, when Fort Gibson was established by Brother Matthew Arbuckle, to the present day. This includes the establishment of the Grand Lodge of Oklahoma and the merging of the Grand Lodges of Indian Territory and Oklahoma in 1909; in addition to the various Appendent Orders of Freemasonry that came to occupy the Indian Territory. 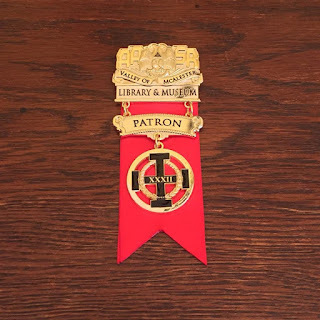 To support our Valley’s Library and Museum, please consider purchasing one of our unique “Patron Jewels” when visiting the McAlester Scottish Rite.